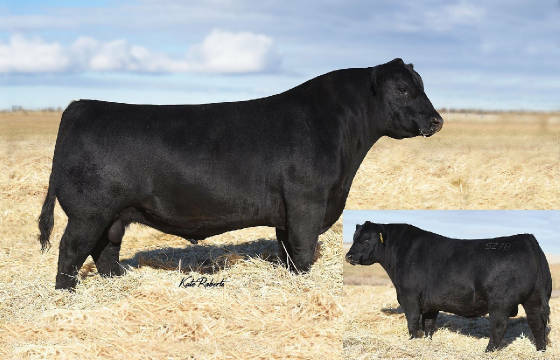 SELLING "HOOTER" sons in the 2019 Bull Sale. 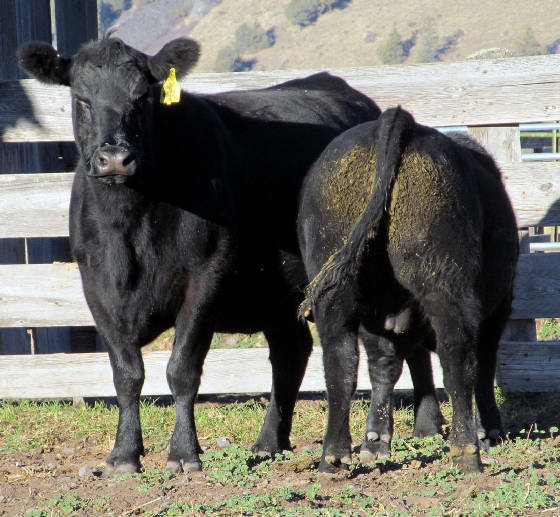 The bulls were weaned off their dams on 10/22/18. our heaviest bull weighed 1040#. NO CREEP FEEDER!!! Our 2018 Bulls and their Dams heading into the corral for weaning, this fall. 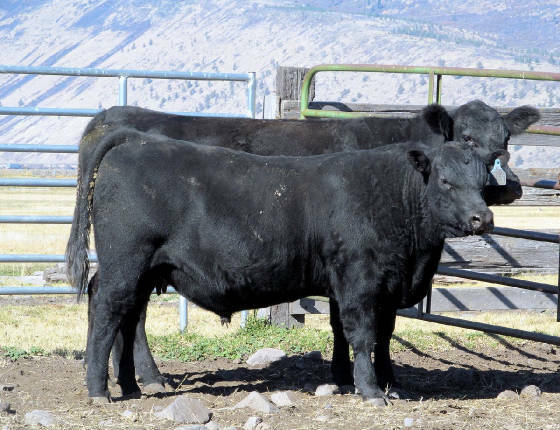 raised the top selling bull in our 2014 Bull Sale. 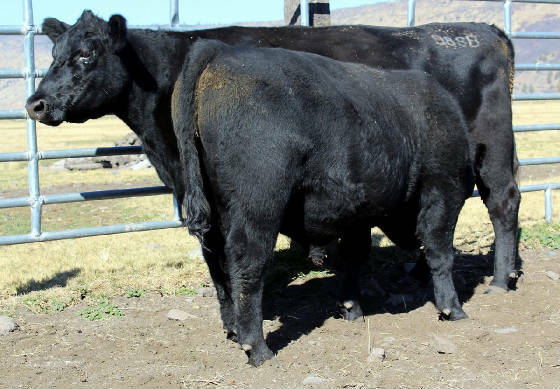 is a calving-ease son of "Basin Payweight 1682". 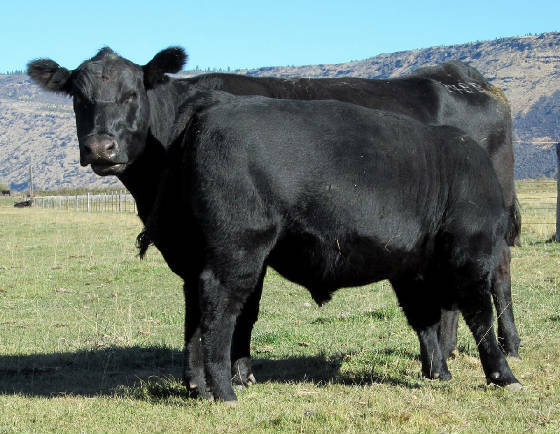 who's nursing on his 11yr old dam, a "004" daughter, prior to weaning. 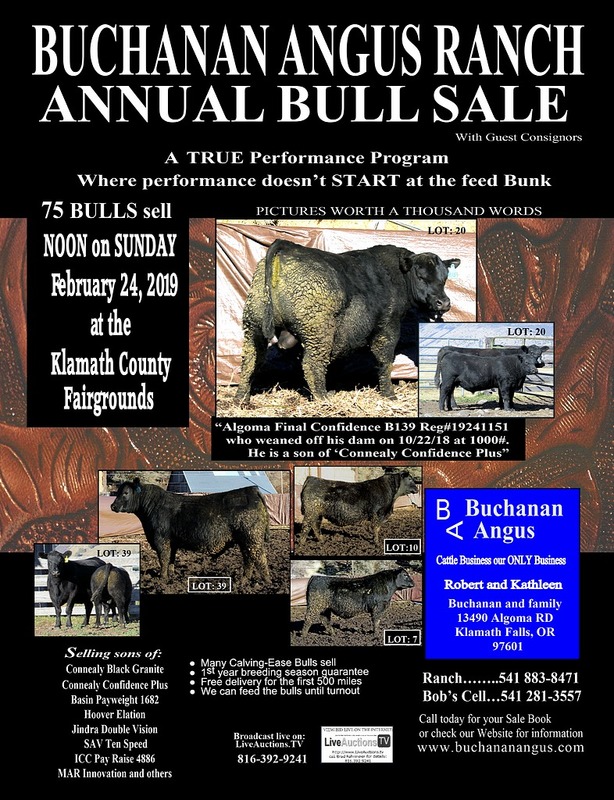 An end of February son of "Connealy Confidence Plus"
FOR OUR ANNUAL BULL SALE!!! WE CAN KEEP YOUR PURCHASES UNTIL SPRING TURN OUT, AT NO CHARGE..
LEAVE YOUR TRAILERS AT HOME.  WE ALWAYS GUARANTEE OUR BULLS FOR THE FIRST BREEDING SEASON.